hello hello! long time no see. just about six months in fact. i took a bit of a break from photo-editing and blogging this year (but not photo taking), and i'm back! for our big annual trip this year, we went to australia. it was a big trip, and we had a really lovely time running around the country for three weeks. unsurprisingly, we started in sydney, and the first dinner reservation we had was for billy kwong. when we travel, i typically try to stick to the local foods, eg, don't go to chinese restaurants if not in taiwan or china, don't go to an italian restaurant if not in italy. however, the major cities of australia like sydney and melbourne presented a shift from that. even though it's an english-speaking "western" country, it is very close to asia, and the asian population and influence is quite dominant. so many of the restaurants my pre-trip research yielded serve amazing asian cuisine, and in the end i definitely wanted to try australian chinese food. and not the equivalent of american chinese fast food (think: orange chicken) but genuinely good chinese food using local australian ingredients, and billy kwong certainly fit the bill. 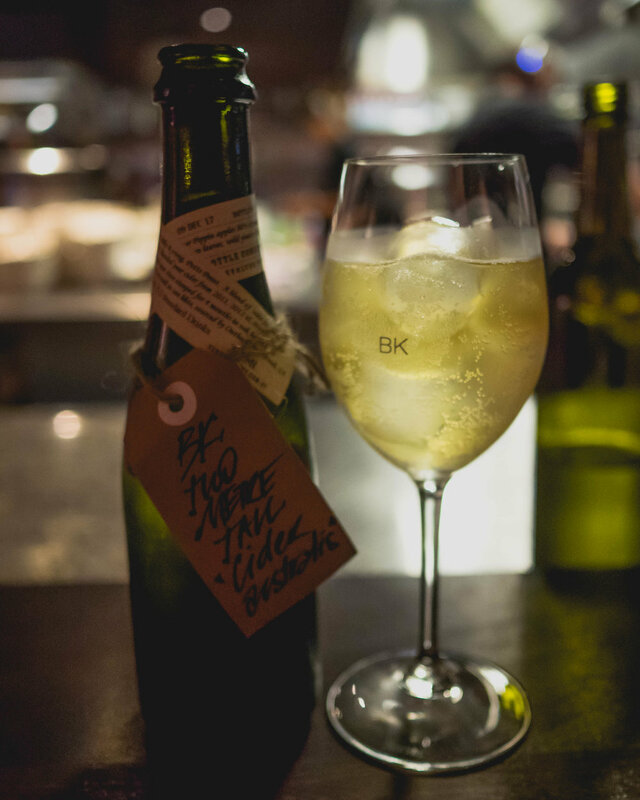 At Billy Kwong we want to offer you a dynamic and delicious feast for the senses that will leave you feeling uplifted on all levels. Our menu showcases the authentic Australian-Chinese food that Kylie Kwong has made her own. The sweet, sour, salty, oceanic, peppery, tart, citrusy, bitter, floral and woody notes of Australian native ingredients have a natural affinity with the flavour profiles of Chinese food, and integrating indigenous produce into our cooking has allowed us to create a cuisine that truly represents this land and its people. the food was as delicious as it was beautiful, and i absolutely love getting exposure to native australian greens like saltbush. so delicate and lovely, i looked for it the rest of our trip, but it was often just used as a dried seasoning. crispy organic saltbush cakes with chilli sauce & tamari. 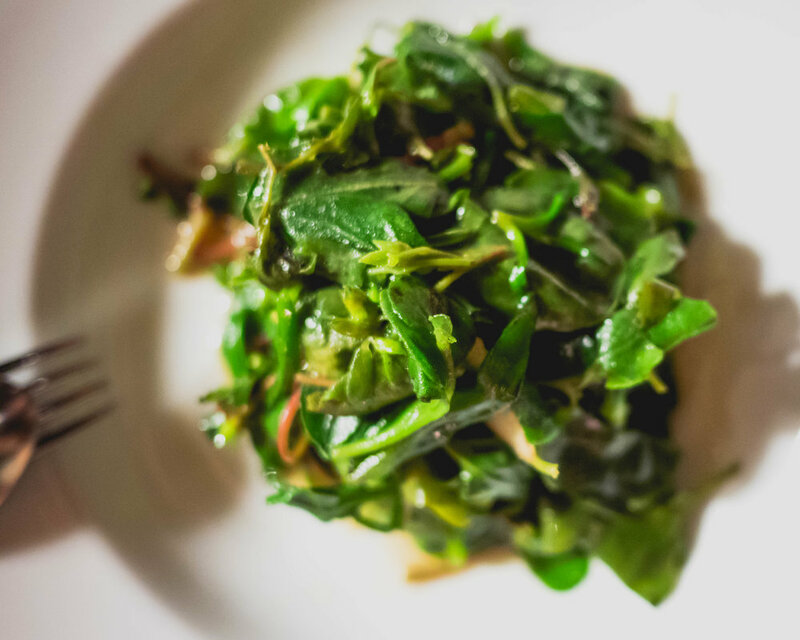 stir-fried australian native greens with ginger & shiro shoyo. i'll also note that we sat at the bar facing the open kitchen, which i've never done in a chinese restaurant before (street food doesn't count!) and i loved watching both the prep and the cooking. it was an exceptionally efficient and quiet (they all wore and used these fancy headsets) kitchen. definitely had a great experience and a great meal here. cantonese-style fried rice with shrimp and pork belly. Aug 30 sydney coffee & eats. Aug 27 saint peter, sydney.